And another service that gets the new design from Google. 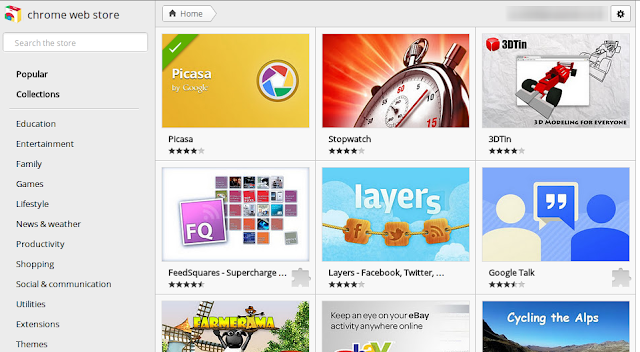 The Chrome Web Store was updated. The new design is visible with the Chrome web browser and uses CSS3. With that some usability improvements came as well. Google keeps pushing its new design for every major service. GMail will get this new design, soon. Blogger and Docs already got it, and Picasa will apparently get integrated into Google+ like many services. A consistent UI throughout Google is a good thing. How do you like it?